Have you ever wondered what life would be like when you need to care for your spouse who is struggling to live through a life-threatening disease? How do you prioritize the many daily events in your life into a plan that maximizes whatever time you two have together? How would you continue to live if your spouse succumbed to the disease and you are now left with picking up the pieces of your life without him or her? Most men are wired to fix problems and defeat challenges. They will find resources at their disposal to conquer the life obstacle and return to some sense of normalcy. But what if the problem cannot be fixed or solved? What if the well-laid life plans are suddenly tossed into the air and blown away like chaff in the wind? How will the male ego survive without her? The loss of a wife is much different than the loss of a child or parent. In all cases, the devastation is difficult to handle. However, to lose your wife, your life partner who was supposed to be a big part of your journey together, is the most difficult challenge to face for most men (assuming the marriage was wonderful). 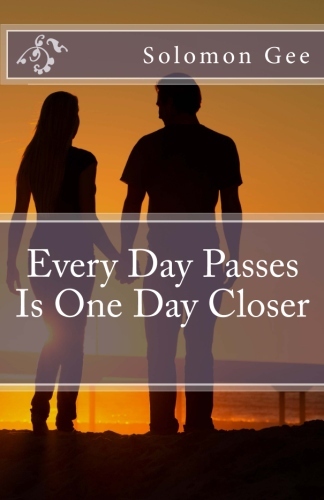 Please take the time to read this book, let it soak into your thoughts, and approach your life with your spouse at a higher level to maximize your remaining time together here on earth. Don’t take the small things for granted and in spite of those petty arguments and frustrations, appreciate the time you have together in growing your family and your marriage. This book can be purchased through CreateSpace and Amazon (Print and Kindle versions available). Please do me a favor – if this book touched your life, please post your encouraging comments on the Amazon site and rate the book. My hope is to encourage as many people as I possibly can with this story. Hi Solomon, I have been considering having a book review section on MIU. Shoot me a message back if you’d like to connect about this further. I’d be interested in hearing more about your book review section. Thanks for the inquiry and offer.